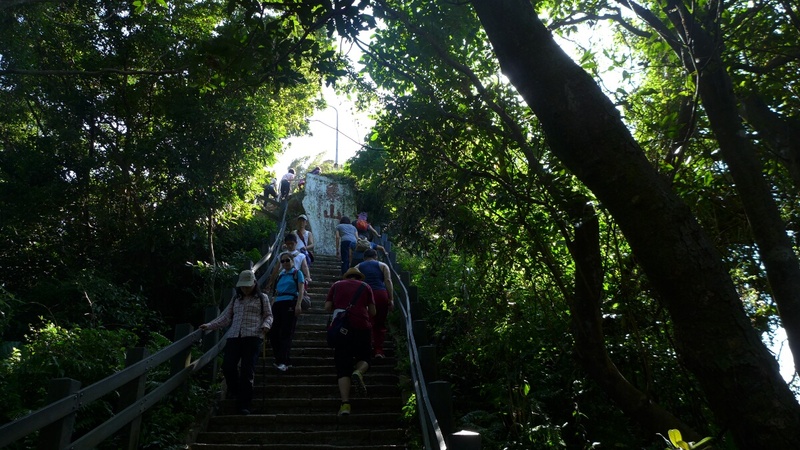 The walk up the stairs to Elephant Mountain is just a 10 minute walk away from the closest subway station (Xiangshan Station). The ascent does not take longer than 30 minutes, but is one giant stair case and thus pretty steep. There is a little kiosk selling drinks and snacks at the beginning and multiple resting spots with nice views along the way. 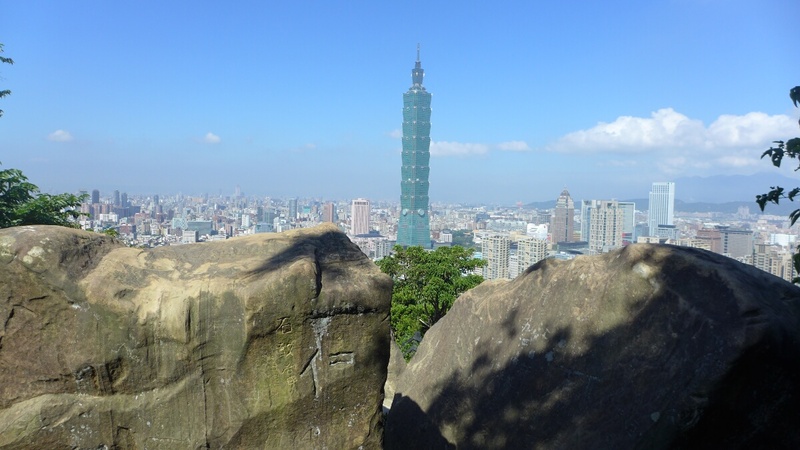 Here is a first view of the city and Taipei 101. 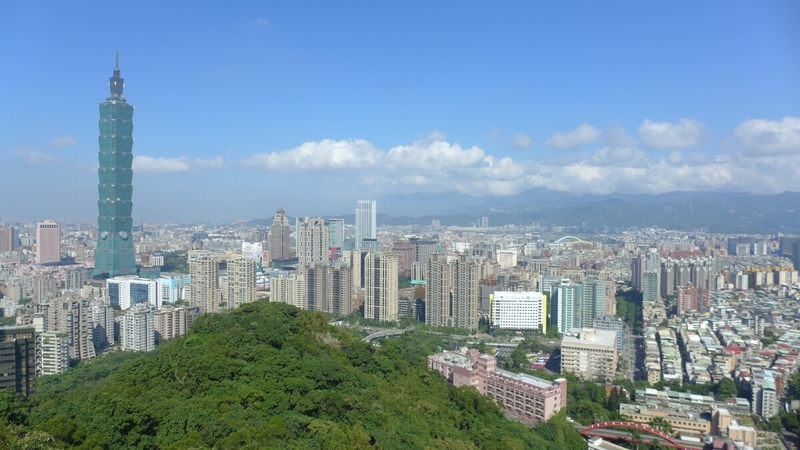 Going further up, there are a couple of outlooks and terraces with great views all over Taipei. 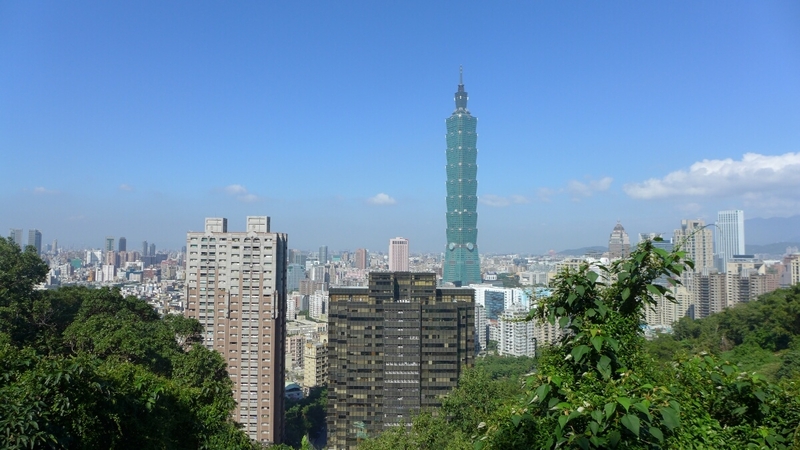 Most impressive is still Taipei 101, which was the world’s tallest building from 2004 to 2010 and makes the other sky scrapers look very small in comparison. 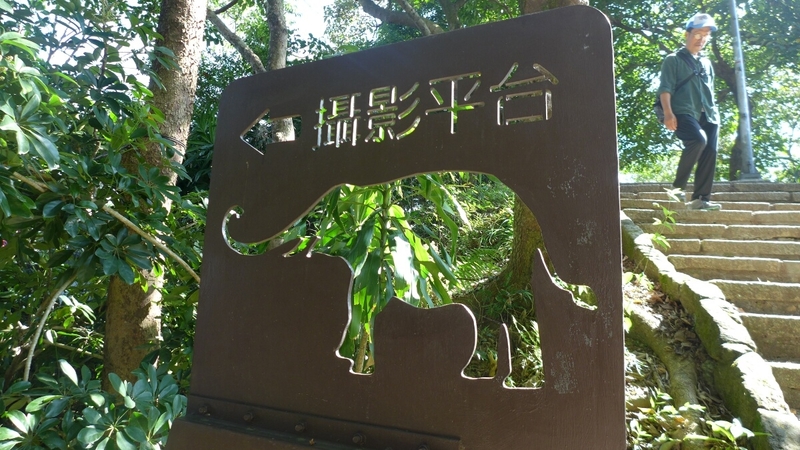 Elephant Mountain is just the first stop on the hiking trails around the mountains surrounding Taipei. Here is a trail map with additional outlooks and view points. 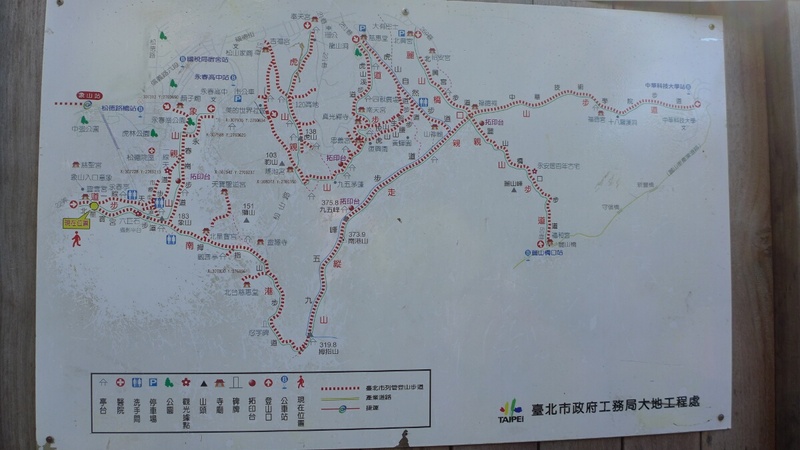 It is also a very popular hike at night, since the stairs are lit up all the way to the view point.